When the time comes to arrange a survey on a boat I'm interested in buying, how should I proceed and what should I expect-of the seller, my broker and the surveyor? For the answer to this month’s question, we consulted the always helpful and informative “Buying a Used Boat” booklet from the California Yacht Brokers Association. It’s available to download at cyba.info, for anyone who’s interested. 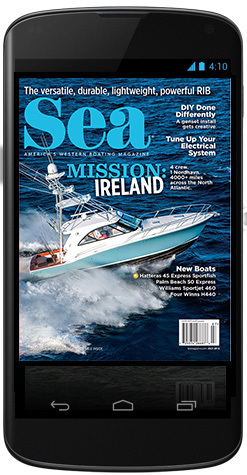 The relevant section for us is called Step Four: Getting a Sea Trial and Survey. The seller has accepted your offer on a boat. You’ve lined up your financing. Now it’s time for a sea trial to see how this boat handles and performs in the water. The seller usually provides the sea trial. Your broker will usually go with you on the sea trial. Use a marine surveyor. Don’t necessarily use a surveyor the seller has recommended — and don’t rely on a survey report from the seller. The report might have been written before certain problems turned up. You can also find marine surveyors by calling the Society of Accredited Marine Surveyors (SAMS) at (800) 344-9077, and the National Association of Marine Surveyors (NAMS) at (800) 822-6267. One caveat: California has no occupational licensing standards for marine surveyors. 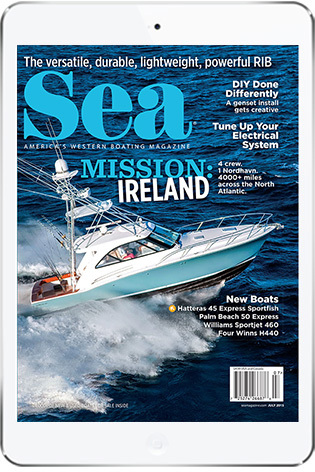 • One big reason for the survey is to find out the current condition and market value of the boat you want to buy. 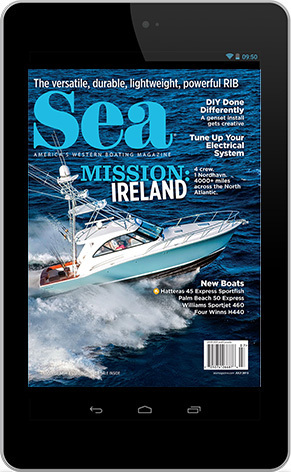 • If the results reveal flaws and problems, the sea trial and survey may give you the opportunity to back out of a contract without penalty — or to negotiate repairs on the boat. • But be advised: If you’re buying a boat at a rock-bottom price, or if the seller is in distress and is selling for below his market price, the sea trial and survey will not give you leverage to negotiate. The seller might not have funds for repairs and is selling as is, where is. Keep in mind, though, surveys are no guarantee against hidden or undetected defects.